Welcome to another Blog Tour Stop. I hope you are enjoying it so far. 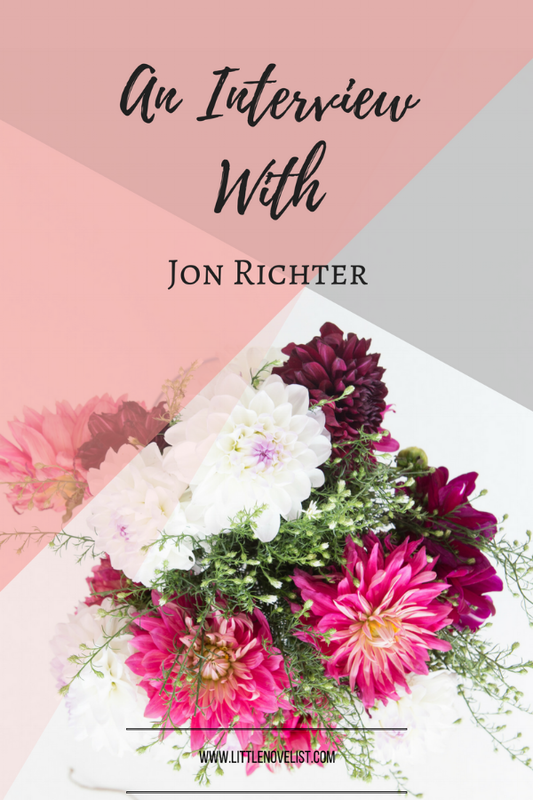 Today I have an interview with Author of Deadly Burial Jon Richter. First though, let's whet your appetite with the blurb. 'He stopped running, approaching the fence, squinting through the rain and fog. I don't I'm afraid! I'm very much a 'newbie' to the world of book publishing and promotion, but will certainly look at this for future projects. In general, I am a huge fan of thrillers, horror, and psychologically disturbing stories... and not just in written form! I enjoy TV, movies, video games... any way to tell a gripping and horrifying tale. I have a very clear idea of what I find gripping and am trying to replicate that in original ways when I write. Deadly Burial is, at its core, an old-school whodunit novel about a murdered professional wrestler - with its cast of larger-than-life characters, that industry seemed to me an untapped goldmine for such a story!! I often spend a long time plotting... and then as I write, completely changing it! It is definitely a good idea to be flexible and prepared to veer off course if the narrative heads in that direction... but with an overall goal still in mind, to avoid heading down too many blind alleys. Unfortunately it's 'as and when' - I like to devote and entire day to writing whenever I can, but usually have to make do with a few hours here and there! I tend to set myself a goal at the start, e.g. 'I will get to this bit of the story by the end of the day'. That way the story is progressing and I feel a sense of achievement regardless of the word count... quality rather than quantity! I have just finished The Secret History of Twin Peaks!! I am absolutely addicted to the new series of the show and had heard that the novel sets up a lot of the action taking place in it, and decided to splash out on the hardback version. I wasn't disappointed! It's presented as a sort of multimedia FBI evidence dossier... almost too beautiful to want to actually handle! The book was published by HarperCollins so I was lucky enough to have a team formatting it for me, providing a cover, etc. But I have since published a book of my own that I formatted myself, and had a fantastic cover made for me... and to be honest, I enjoyed that one more, because I had more creative freedom in terms of the final output! Something with video games I think... I have a text adventure that you can play for free online (check out 'A Story Of Salvation' on www.textadventures.co.uk!) and I'd love to know how to produce something with graphics... but again, only as a mechanism for story-telling! I believe that video games and their inherently interactive nature can provide some truly unique and incredible story experiences that no other medium can deliver. I think short stories are the way to go. Just write a few, churn out your maddest, wildest ideas... and before you know it, one of them will just magically grow into a book! Jon Richter lives in London and spends most of his time hiding in the guise of his sinister alter ego, an accountant called Dave. When he isn’t counting beans, he is a self-confessed nerd who loves books, films and video games – basically any way to tell a good story. Jon writes whenever he can and hopes to bring you more disturbing stories in the very near future. If you want to chat to him about this, or about anything at all, you can find him on Twitter @RichterWrites, or visit his website at www.jon-richter.com.